Today I got in the mail some great natural cleaners. I know it is not like getting a new dress or even candy in the mail but I was excited. I was privileged that Natural Home Logic allowed me to sample and review some of their great products. Formaldehyde, Sulfate, Chlorine, Bleach, Petroleum, Ammonia Phthalate, Nonlphenol ethoxylat, Triclosan, DEA, PEG, and TEA free, in addition they are also biodegradable. Right away, I used the bathroom cleaner, the all-purpose cleaner and the glass cleaner in my bathroom, it needed to be cleaned pretty badly after the holiday rush. I sprayed the bathroom cleaner on the outside areas of the toilet, and in the sink and faucet area. I went back and wiped everything down with a cloth and remarkably, the grime came up easily. I had a spot or two where I had to go back and re-spray, but overall the products worked marvelous. I did not notice any over powering scents while using the products at all and there were ZERO fumes. So many times in the bathroom, we use these harsh cleaners to get the germs and funk away only to replace it with horrible scents and chemicals, it is such a small room with little ventilation, and to use such strong chemicals always bothered me. I sprayed the glass cleaner one the mirrors and wiped with a paper towel, I did smell a faint whiff of vinegar, but again not overpowering. It cleaned nicely with no streaks, the toothpaste spots that is always on our bathroom mirror just melted away no heavy scrubbing required. We have a step stool in our bathroom for toddlers, I used the all-purpose cleaner to just spray and wipe and were pleased with the results. 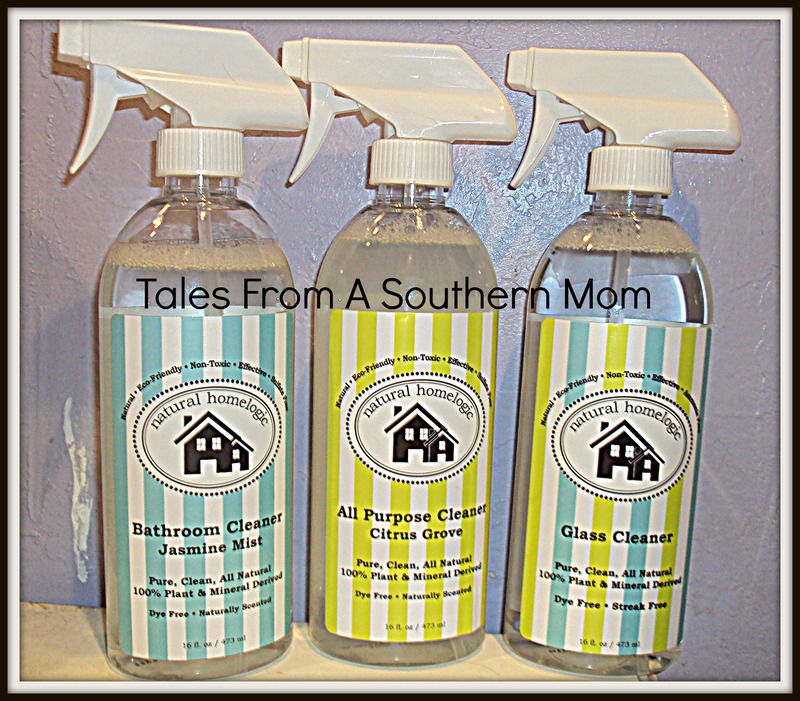 If you are one of those that hate harsh fumes, or chemicals in your cleaners, but would rather buy than make your own these are great options for you. I think you will be pleased with the results of the products and come back for more. You can win your own set of three cleaners on our giveaway post here. You can order your own set of cleaners at their website and get started to healthier indoor air and cleaner surfaces. Next post: Blogger Opp! Spring Into Cash!! With two kids, five cats, and a dog, I’m always looking for alternatives to traditional chemical-laden cleansers. Thanks for sharing your experience with these!